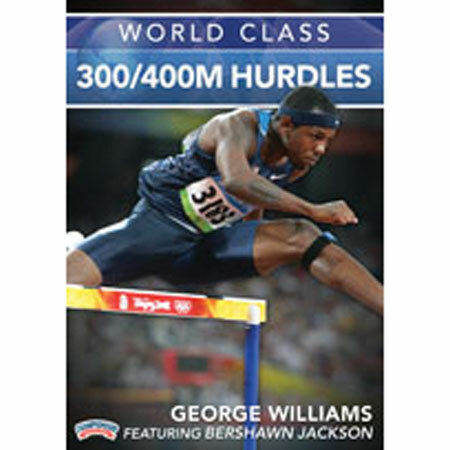 Reap the benefits of both legendary hurdles coach George Williams and Olympian Bershawn "Batman" Jackson. Coach Williams begins with an overview of the ingredients for success in the 300/400 hurdles events. He then moves into a narrated warm-up demonstrated by Bershawn Jackson. Through the 10+ exercise warm-up, Williams shares valuable insight into the importance of a working warm-up for injury prevention as well as the importance of disciplined and thorough stretching program, an essential key for successful hurdling. Williams directs Jackson through five hurdle drills that are at the heart of technique training for the rigors of the300/400 hurdle events. These drills include lead leg and trail leg drills, as well as alternating leg drills. Williams feels that training the hurdler for proficiency on either leg is a must for success in the event. Williams next proceeds to full hurdle execution with a focus upon technique and stride patterns. He details the preferred stride count that his hurdlers utilize and offers recommendations for the high school level hurdler. 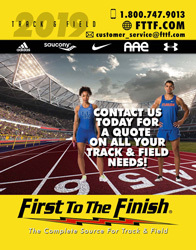 You will get an overview of his training plan that highlights an emphasis on training longer distances in the early season and includes hurdle specific workout suggestions for increasing race endurance. Throughout the presentation, Williams offers technical and tactical insights from his years of producing successful hurdlers.